File photo of December 18, 2017, people who call themselves DREAMers, protest in front of the U.S. Capitol to urge Congress to pass a DREAM Act. 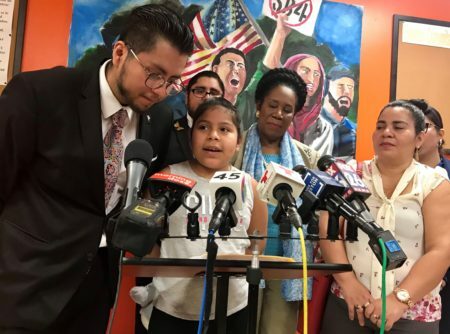 ‘Dreamers’ who live in Houston were in Washington, D.C. on Wednesday asking members of Congress to pass legislation that will protect from deportation recipients of the Deferred Action for Childhood Arrivals (DACA) program, which the Trump Administration intends to terminate. Even though a federal judge in California temporarily blocked the government’s decision to end DACA through a decision issued on Tuesday night, the ‘Dreamers’ still consider it is urgent for Congress to pass legislation that will provide what they say would be a permanent solution. César Espinosa, executive director of Houston-based Immigrant Families and Students in the Struggle (FIEL, by its acronym in Spanish), held meetings with several members of the Texas Congressional delegation and with their staffers. 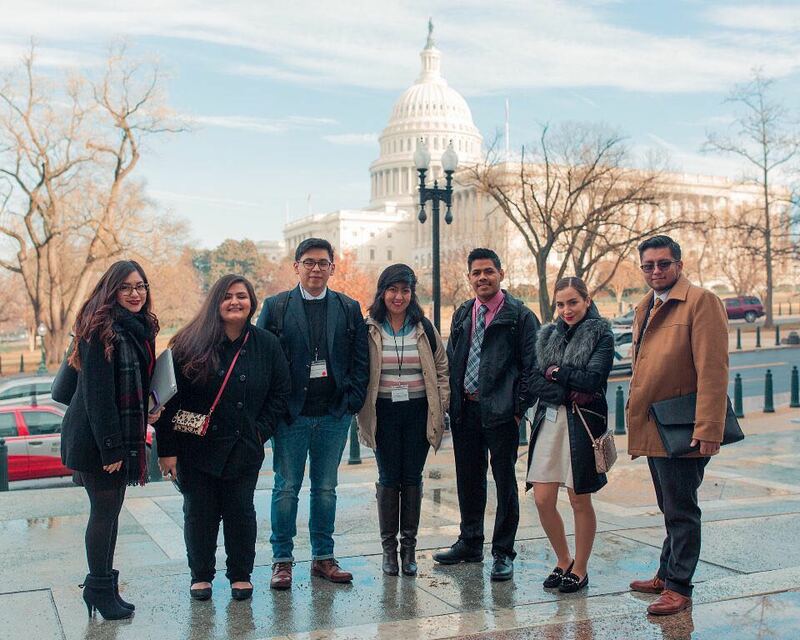 Cesar Espinosa, first on the right, in Washington, D.C. on Tuesday, January 9, 2018, asking members of Congress to pass DACA. Espinosa, who is a DACA recipient himself, met in person with Representative Al Green (Democrat-District 9), as well as with Representative Marc Veasey (Democrat-District 33) and Representative Lloyd Doggett (Democrat-District 35). Additionally, the activist spoke to staffers from the offices of Representative Ted Poe (Republican-District 2), Representative John Culberson (Republican-District 7) and Representative Pete Olson (Republican-District 22). 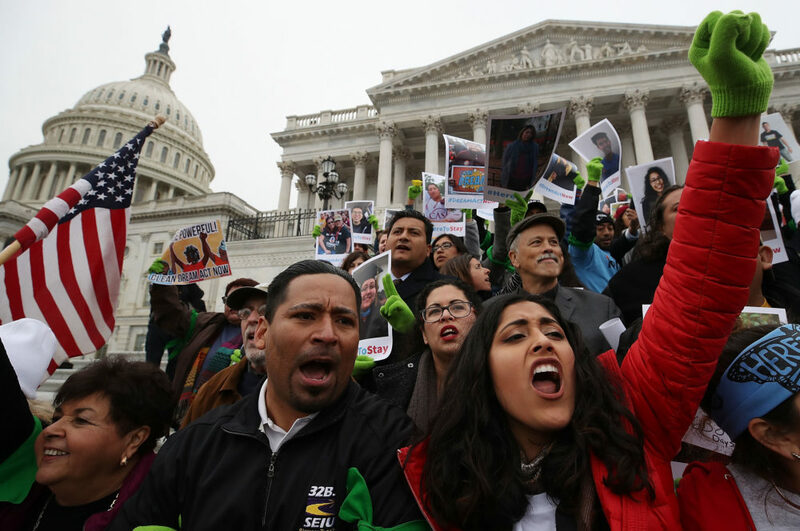 Addressing the judicial decision that has put another impasse to the future of DACA, Espinosa noted that the members of Congress he has been in contact with understand some kind of legislation is “urgent.” The federal government will prevent DACA recipients whose work permits expire after March 5th from applying for renewal. 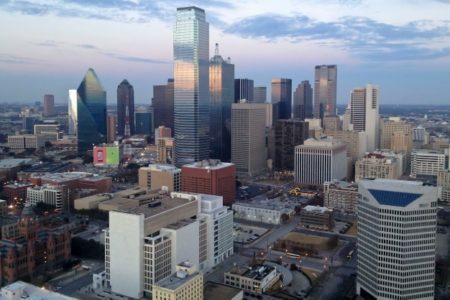 Jonathan Zapeta, a 22-year-old undocumented immigrant who lives in Houston and arrived in the U.S. when he was 6 year- old, was also in Washington. Zapeta added that the mood he saw in Washington was positive. Asked about whether he thinks a legislative solution to protect DACA recipients from deportation could be a first step towards a comprehensive immigration reform that could help people who are in his same situation, Zapeta responded he believes that is possible to a certain extent.